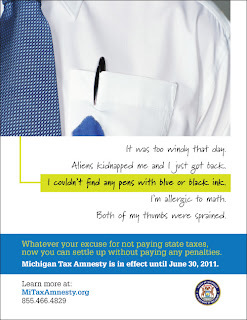 The State of Michigan is launching a tax amnesty program for Michigan taxpayers. It goes into effect next week and will run until June 30. Anyone who owes any type of taxes to the State of Michigan can simply pay them. State income taxes, business taxes, as well as sales and use taxes are covered by this. Local and property taxes, however, are not. While taxpayers will still have to pay interest on their taxes due, as well as the taxes themselves, they will avoid both civil penalties and potential criminal prosecution. 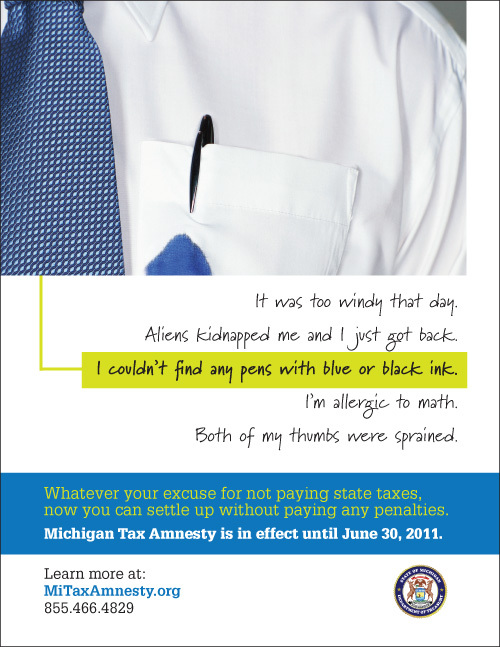 More details about the tax amnesty program are available here from the Michigan Department of Treasury. The Michigan Tax Amnesty is your Warrendale Tip of the Week.